Cute cartoon style vector illustration of a boy and girl supporting their favorite sports team. 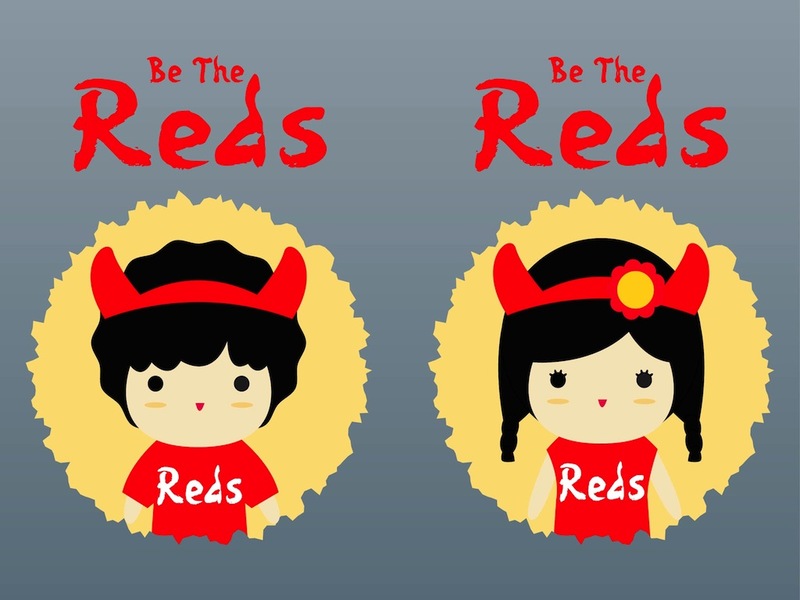 Hand written text reading “Be the Reds” above the heads of the smiling characters. Happy boy and girl wearing team shirts and headbands with devil horns. Free vector characters for all couple, love and sports designs. Tags: Boy, Cartoon, Characters, Comic, Couple, Cute, Fans, Girl, Horns, T-Shirts.